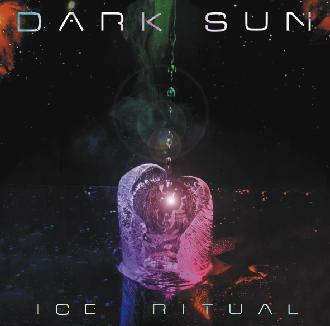 Dark Sun - "Ice Ritual"
The first recording from the Burnt Hippie label is a vinyl-only release limited to 300 copies that teams up Finland's Dark Sun with Nik Turner. The songs are all Hawkwind covers and include Sonic Attack, Watching The Grass Grow, Psychedelic Warlords, Kadu Flyer, Utopia '84, D-Rider, The Right Stuff, Master Of The Universe, Assault & Battery, The Golden Void, Brainstorm, Hassan I Sahba, and Silver Machine. This is a live recording (excellent sound quality!) from two performances at the Tavastia Club in Helsinki in July 1999 and June 1998. The later show doesn't include Nik and features Dark Sun's Janne Kuokkanen capably handling the vox on Psychedelic Warlords Assault & Battery, Golden Void, Hassan I Sahba, and Silver Machine". All well known songs to be sure, but the performance is fantastic proving Dark Sun to be a killer ensemble of musicians. It's really sad that they've not been able to follow up their sole CD release "Feed Your Mind", but it's good to know they're still active playing shows. Hopefully this will help bring some attention to this deserving band and bring them closer to releasing a new set of new Dark Sun songs. You can visit Dark Sun at their web site. Contact Burnt Hippie via snail mail at Sankt Jorgens Allé 7 O.G. St th., 1615 Copenhagen. V., Denmark.